Late in the 1960s, there was an exodus from the city to the country. If you are a boomer like me, you remember those days. The protests of late are peaceful compared to the days that we witnessed in our lives or on the television with Walter Cronkite. Ken Burns has certainly brought back the memories of those tumultuous years in the PBS series, Vietnam. After watching the series, it is no surprise that a generation of young people wanted to “drop out” to find a simpler life. And, there was even an anthem . . . I’m gonna leave this city, got to get away, Canned Heat. Times had changed. The happy turquoise and pink of the 1950s were out of step with the new ethos of peace, love and living on the land. The pivot from the past was played out in the last episode of Mad Men with Don Draper chanting OM. The new lifestyle was a choice based on a natural way of living. Processed food was rejected. Whole grain bread and granola replaced Cocoa Puffs and Wonder Bread. The trend was homemade food, not fast food; but rather, whole foods that were comforting. The aroma of apple pie, oatmeal cookies, Sunday chicken dinner with real mashed potatoes. It is no surprise, that handmade pottery was the perfect choice for this aesthetic. You might even say that this kind of comfort food almost demands brown drip dishes made by Hull Pottery. At the same time, sales were trending downward at Hull Pottery. The president of the pottery, J. B. Hull spotted a trend in California for brown pottery. He realized the earthiness of brown glaze was a natural choice. Soon, Hull was producing Brown Drip housewares – and it was flying off shelves. 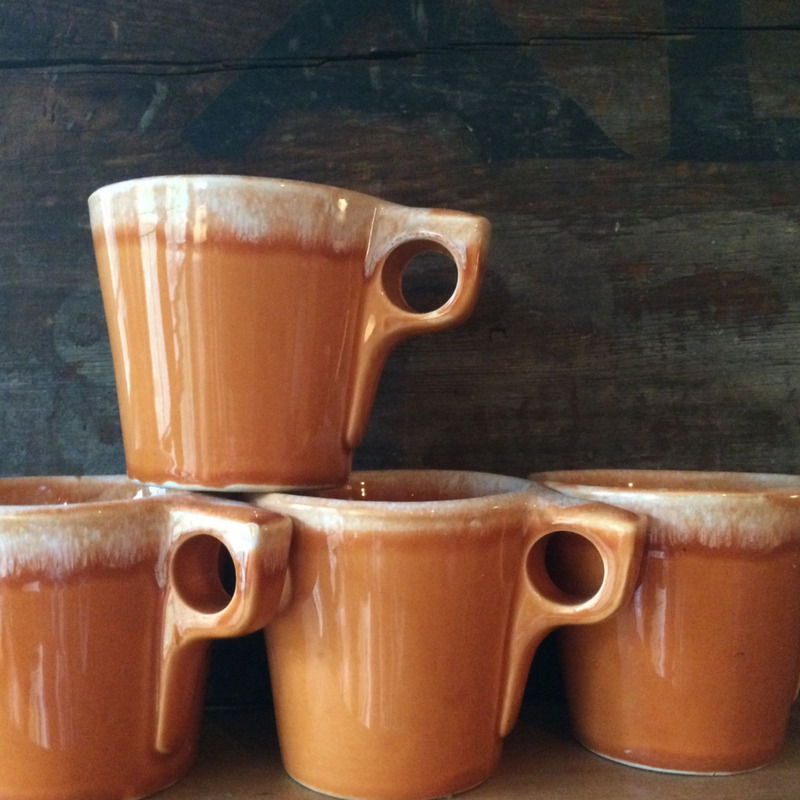 Hull Brown Drip Bowls, Hull USA Crestone, Oven-Proof. Eventually, Hull introduced new colors that reflected a lighter mood – the ubiquitous avocado, a bluer shade of turquoise, and tangerine . . .
Forty years later, Hull dinnerware is still in demand. Most often, children of that generation seek out Hull. It brings back memories – the best memories, after all, are the times that we share gathered together to share a simple family dinner or a feast with our friends. Or the times that we stop and make a batch of cookies. 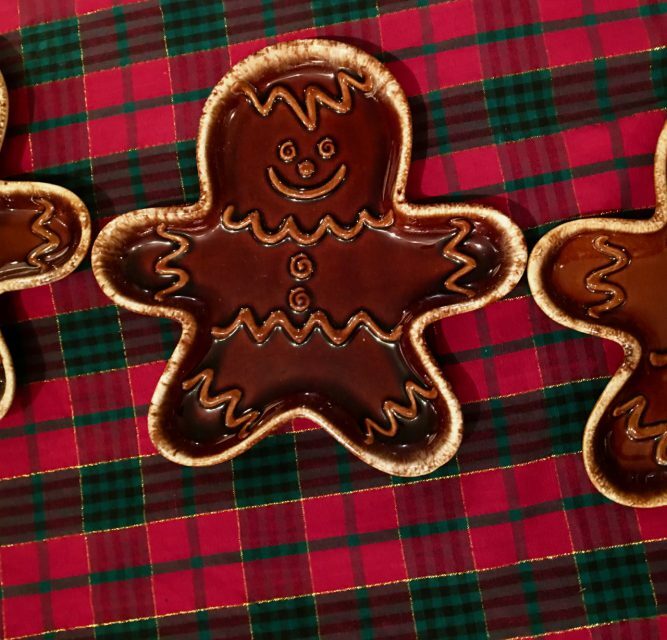 The designers at Hull Pottery understood the tradition of cookies baked at home. The wonderful aroma of gingerbread baking in the oven. The mystery of the empty cookie jar. Happy Holiday baking to all . . .